Enter now on social media for your chance to score a configurable package. 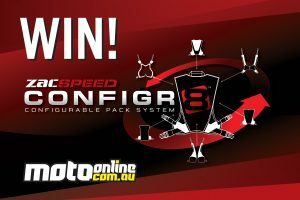 Enter now social media for your chance to score a configurable package. Enter for your chance to win this feature-packed portable speaker. 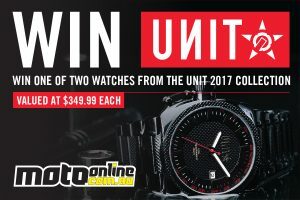 Enter for your chance to win one of two UNIT watches. 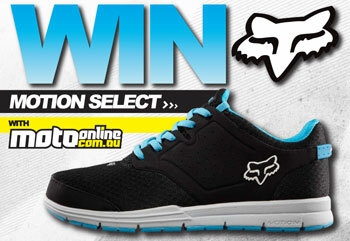 Enter for your chance to win latest product from Fox Head Australia. 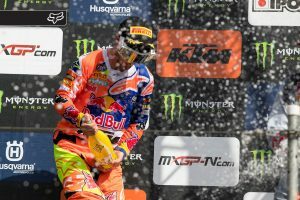 Win signed front plates and jerseys from Monea and Long! 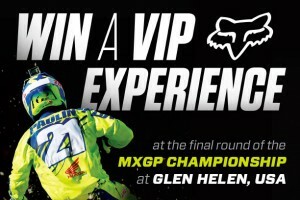 Rare VIP opportunity to witness the US grand prix live! 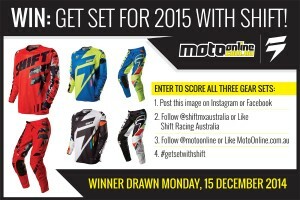 Three different 2015 Shift Gear Sets could be yours! 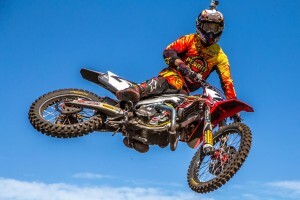 Attend the Queensland-based supercross events with Motorex. 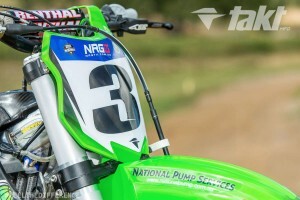 Win with the title sponsor of Bathurst's opening ASX rounds. Ultimate prize package announced to welcome fans into 2014. 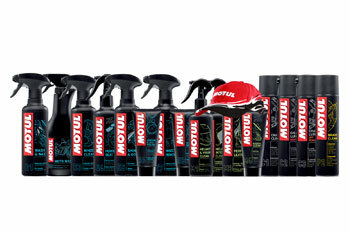 Neat selection of ONE Industries product to be won! 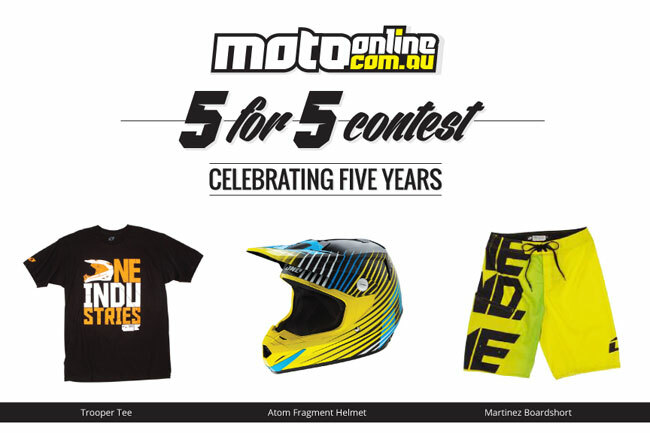 MotoOnline.com.au celebrates five years with a five-week long contest. 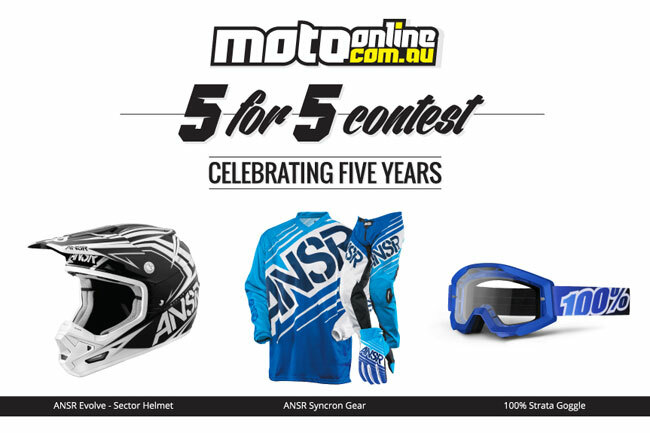 Serco Yamaha prizes up for grabs in second week of five-year celebration. 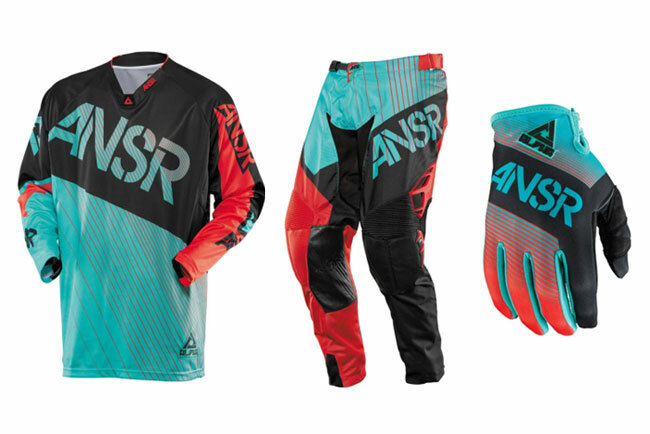 Win ANSR Evolve - Sector Helmet, ANSR Syncron Gear and 100% Strata Goggles from Serco Yamaha. 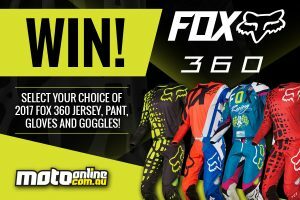 Fox V4 Carbon Reveal Helmet, Fox Motion Elite Trainers and Fox AIRSPC Tracer Goggles up for grabs in Week 1. 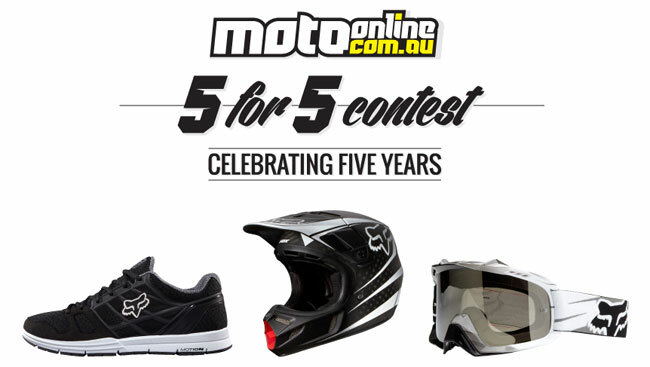 MotoOnline.com.au and Fox have announced an Instagram contest, giving fans the opportunity to win a set of new Fox Motion Select shoes. 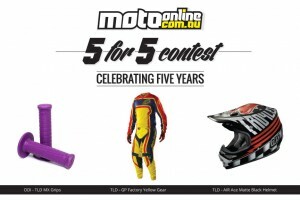 Instagram contest launched by MotoOnline.com.au in association with Fox. 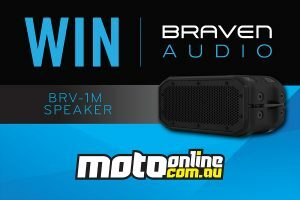 Win the Fox Motion Select with MotoOnline.com.au! 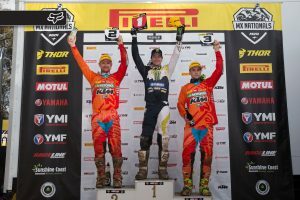 Celebrate Luke Styke's MX2 Australian Motocross Championship win with MotoOnline and Serco Yamaha. 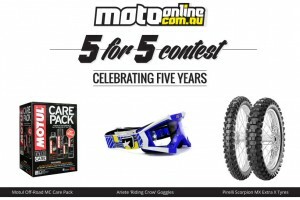 Win one of three Motul MC Care Prize Packs, worth over $240. 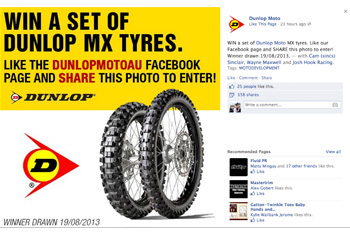 Dunlop Moto Australia is giving fans of its Facebook page the chance to win a new set of tyres for their Motocross bike. 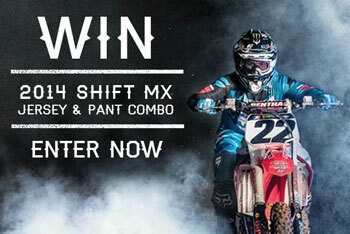 Win your very own 2014 Shift MX Faction jersey and pant combo. 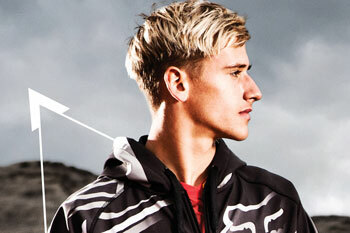 Receive a free copy of the Fox 2013 Winter Catalogue in the post and go in the running to win one of four Fox winter wardrobes.